We didn’t think it was possible for Sir Patrick Stewart to get any more lovable than when he melted into a puddle over his foster pit bull earlier this year, but we were wrong. Stewart’s found another way to our hearts and it has to do with the Star Trek movie that may be in the works from J.J. Abrams and Quentin Tarantino. 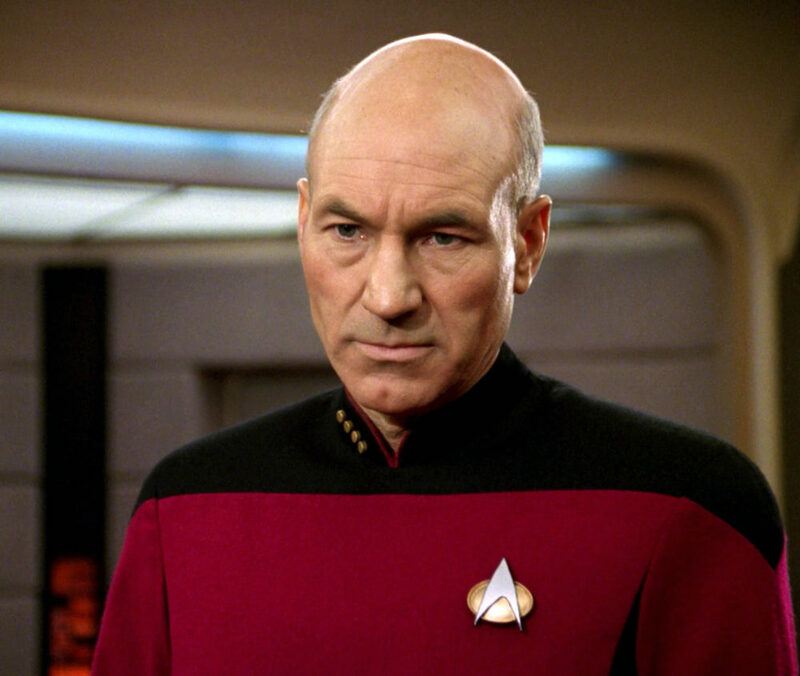 If the project moves forward, Patrick Stewart is totally in to play Jean-Luc Picard. We’re totally demanding that the casting director MAKE IT SO. "One of my dreams is to work with Tarantino," Stewart said. "I admire his work so much, and to be in a Tarantino film would give me so much satisfaction. So, if he is going to direct something to do with Star Trek and there was the possibility of dear old Jean-Luc showing up again and doing that for Mr. Tarantino, I would embrace it." Stewart would need to be cool with a significantly more adult version of the Star Trek franchise than the one he acted in in the ’80s and ’90s if he were to join the project. Tarantino has reportedly required that his Star Trek movie be rated R, because, well, he’s Quentin Tarantino. But we have a feeling Stewart, being a Tarantino superfan, would be down. As both Abrams and Tarantino are busy working on other big movies at the moment — Abrams on another chapter of the Star Wars saga, Tarantino on a project about the Manson murders, both set to release in 2019 — it could be a while before this rumored Star Trek collaboration boldly goes where no Star Trek movie has gone before. If we’re lucky, Stewart throwing his name into the revival ring will warp-speed up the process.